Guest Writer: Cheryl Magyar. She is a sustainable life designer and mom to one homeschooled, creative daughter. Together with her husband, they share their wisdoms of living sustainably at ForestCreekMeadows. Wiser words have never been spoken about the future of sustainable life on our blue planet, yet it is a statement that is easy to forget when we are in search of a so-called comfortable life. Live for today, like there is no tomorrow – is a sentiment that has a better, flashier ring to it, and so we fall for advertising and catchy phrases, setting the ideals of nature aside. There is another way to interpret the live in the moment movement, and it is certainly not one of greed and corruption. Rather, to live in the moment is to be grateful, respectful and appreciative of all that is sustainable and life-giving around you. In such a case, there is no other option than to leave Earth better than you found it. At the moment, that may seem to be a momentous task given the current state of climate change and plastic pollution, though it is never too late to change our ways of being and believing. BbbbTo get kids on board with the idea of simple, sustainable living, first you – the parent(s) – have to be fully committed. Children are always learning and they have to take into account our emotions and how we act/react in certain situations. They will also take cues from others in the extended family and at school, playgroups, etc. and they are often opposite to the sustainable values you are bringing to the table. At some point in time, it becomes a game of give and take; children will push to fit in, when in reality it is beneficial to stand out! 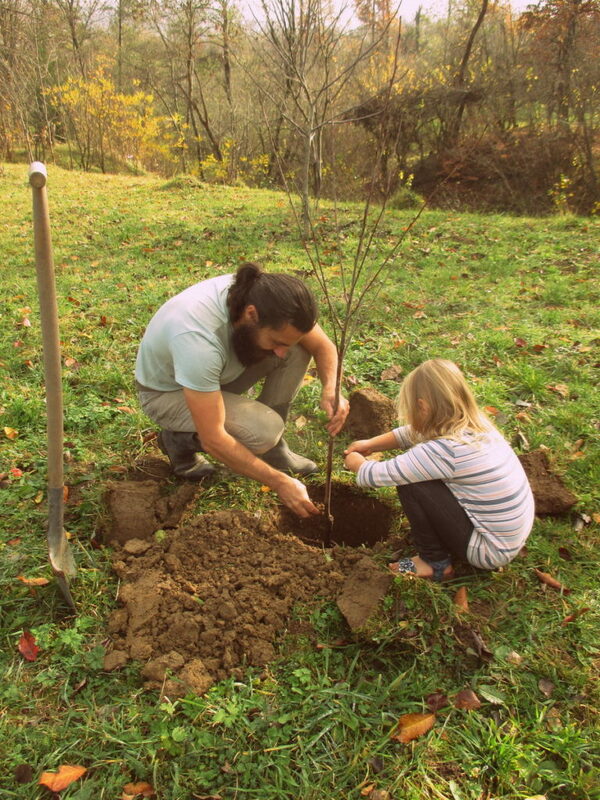 Start early, show your children the wonderful aspects of nature and explore the joys of living a sustainable life, and their innate love for the environment will naturally follow. We are never too young to be out in nature and establish a sense of curiosity for all moving creatures, exploring textures of soil and sand, splashing in a creek with the wind blowing in our faces. Nowadays, children spend an average of 5 to 8 hours a day in front of a screen! That cuts down on their outside time dramatically, and it is an incredible amount of time to be disconnected from discovering how nature works. When children are young, aim for at least one hour outside a day, more when the weather allows for it. Hike, bike, fish, pick up sticks, walk barefoot, do whatever it takes to be under the sun and out in the rain. 2. Own fewer toys, belongings and clothes. Becoming a minimalist family benefits the Earth in so many ways. When you reduce your dependence on physical belongings, you will find more time for each other, consequently that means more time to be in nature too. It may take putting a limit on presents and gifts (a whole post of its own! ), or washing and wearing the same clothes more often, but in the long run, a minimalist lifestyle is definitely worth it. Allow children to have a say in what they would like to receive and give them a small selection of sustainable, eco-friendly toys to choose from, begin to foster a sense of how much is enough and include them in the process of giving pre-loved toys away. “Enough” is a personal matter and it differs from family to family – in the case of toys, shoot for the amount that a single child can play with and LOVE, and share, them all. 3. Begin the journey of a plastic-free life. As you transition to all sustainable materials, the harsh plastic colors will begin to fade and the questions will inevitably grow. “Why can’t we be like everybody else?” is bound to come up, now is the time to formulate an answer. We are not like everyone else because we choose to honor the Earth and all her living creatures. We do not overconsume to please others, we take only what we need for a wonderful life. With that in mind, get rid of plastic straws, cups and spoons, and let children grow up with a sense of environmental responsibility, not one of polluting. Discuss the politics of throwaway plastics with your children, as kids understand far more than we expect, and keep in mind that a picture is worth a thousand words. If they have a favorite body of water or stream to play by, ask them how they would feel were it full of garbage, would they still be happy to play in bits of broken, discarded plastic? 4. Involve children in food preparation, growing and shopping. 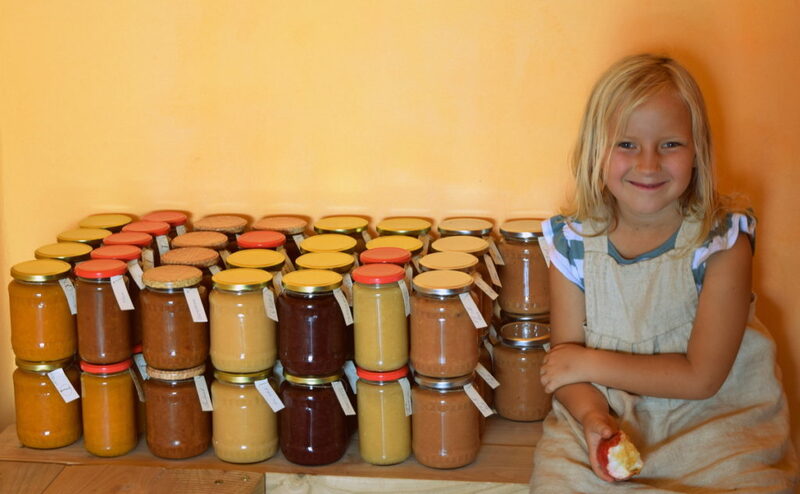 Children who learn that wholesome food comes directly from the Earth, not from boxes, cans and plastic bags from the store, are more likely to try new things and love them too. Plant a garden in your backyard, grow some herbs in the kitchen, or opt for a CSA nearby – there are so many ways to get involved with finding out where food comes from. Learning self-reliance in the kitchen will open up their world, get them involved with food prep as young as they are able. 5. Watch nature documentaries together. When the weather doesn’t cooperate and you’d rather use the screen for learning than cartooning, opt for a documentary such as Hidden Kingdoms, Planet Earth, or Flight of the Butterflies. Of course, a digital detox day thrown into the mix never hurts a child, or adult, either. Remember, we are on borrowed time, the lessons we leave with our children are to trash or treasure. It is up to us to guide them gently along the way. Set technology aside, take a refreshing walk outdoors and work together to achieve a sustainable future. 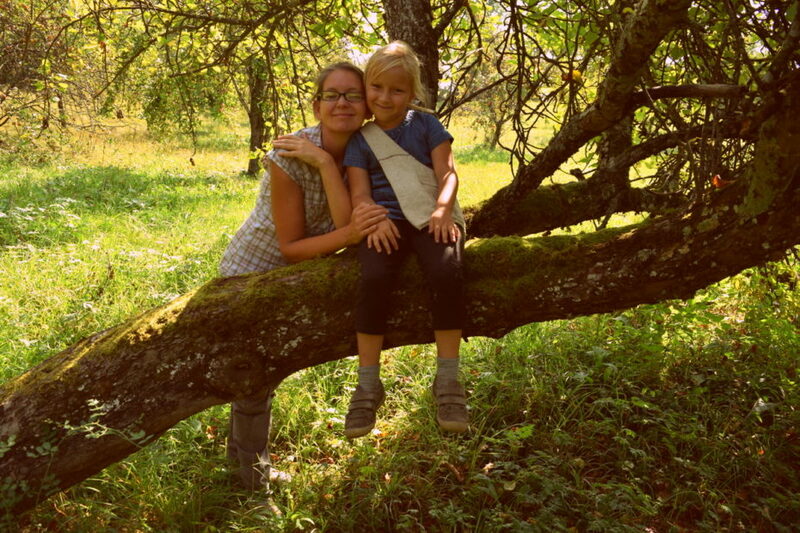 Bio: Cheryl Magyar is a sustainable life designer and mom to one homeschooled, creative daughter. Together with her husband, they share their wisdoms of living sustainably at ForestCreekMeadows. Follow along on Instagram and download a copy of My Sustainable Journey as you sign up for their newsletter.